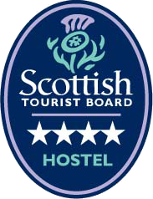 Modern hostel is converted barn, adjacent to campsite and Observatory Guest House with lounge bar, meals and groceries available. NRBO was established in 1987 to study and record the migrant birds that pass through Orkney 's most northerly island each year. The number and variety of birds that arrive here on migration in Spring and Autumn can be spectacular, and North Ronaldsay is well-known as one of the best birdwatching sites in the country. In addition to its ornithological function, the observatory provides a variety of comfortable accommodation, including guest house, hostel and camping area, for all visitors to the island. Breakfasts, lunches and evening meals can be provided, and there is a fully licensed bar stocking a wide range of wines, beers and spirits. Other facilities include a TV lounge, wi-fi internet access and a gift / groceries shop and information display.